Pyrgilauda davidiana Verreaux, 1871, Suiyuan, Inner Mongolia. Two subspecies occur in disjunct populations. 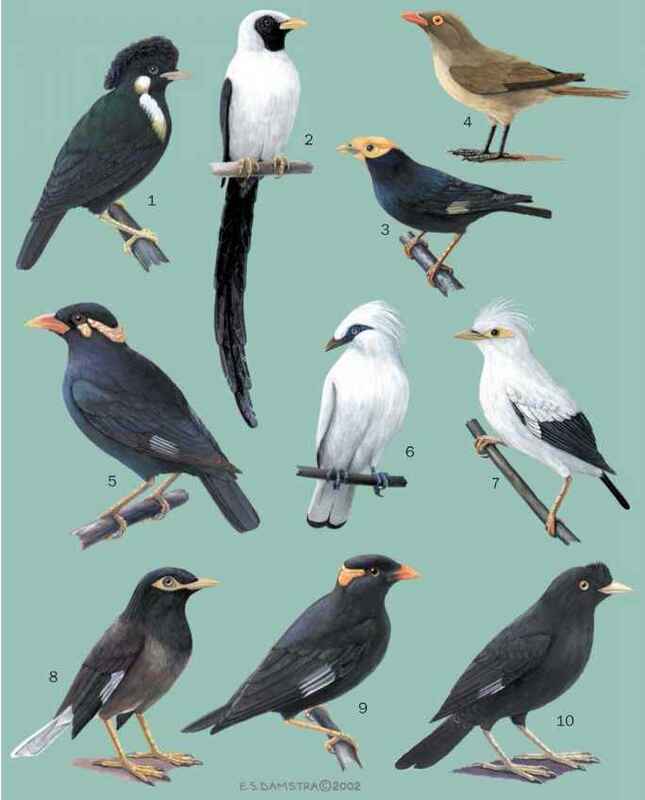 English: Père David's snow finch; French: Niverolle du Père David; German: Mongolen Erdsperlin; Spanish: Gorrión de David. 5-6 in (13-15 cm). A small ground sparrow with upperparts mostly fawn-brown and a black bib. The juvenile is dingier and lacks the black bib. 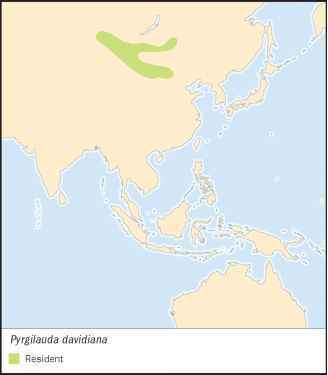 Separate populations occur in eastern Inner Mongolia and from Mongolia to the Siberian Altai. High, sparsely vegetated, semi-desert plains at 6,600-15,750 ft (2,000-4,800 m), usually close to water. A nomadic species, usually in small flocks. Spends much time hidden in animal burrows when not foraging. Feeds on grass seeds and insects. Breeds in burrows of small mammals. Lays five to six eggs. Both sexes feed the young.